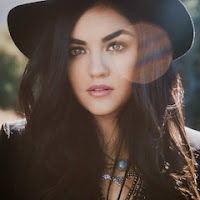 Lucy Hale has announced she will be heading out on her first headlining tour early next year. The actress/singer has seven dates on the calendar so far for her "Road Between Tour" but hints that she may add more later if she can work around her TV filming schedule. “We’re keeping it short and sweet,” Hale explains to Rolling Stone Country. “We’re going to where my music was played on radio and when we stopped for a radio tour, people came to the shows.